Our Richmond kitchen and bath company also offers sinks for your kitchen or bathroom. Panda Kitchen & Bath offers 18 gauge stainless steel undermount kitchen sinks in a variety sizes and shapes. We also carry white and bone porcelain undermount oval or rectangular vanity sinks in a variety of sizes. Read the sink product descriptions below to learn more about all the options for your home. – Item# UM-15137-18. 18 Gauge Stainless Steel Under mount Bar Sink with 2″ Radius Corners. Bowl Size: 12 5/8″ x 11″ x 7″H. – Item# UM-16168-18. 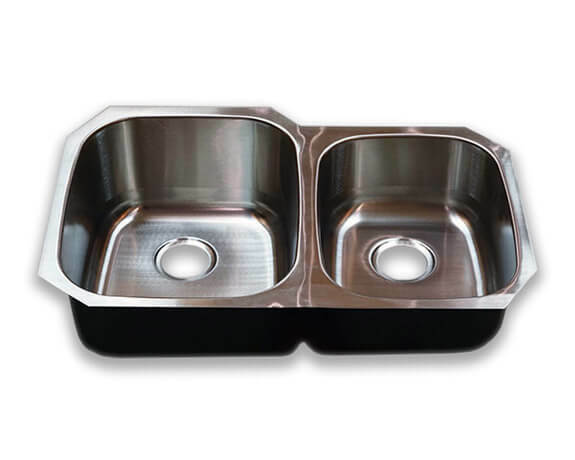 18″ Gauge Under mount Stainless Steel Bar Sink with 2″ Radius Corners, Bowl Size: 14″W x 14″D X 8″H. – Item#: AF-6147. 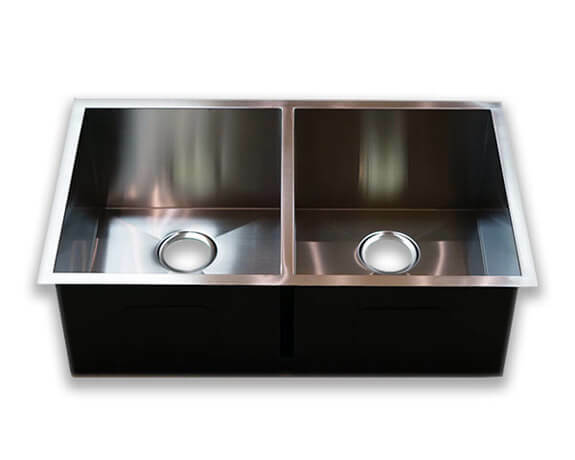 18 Gauge Stainless Steel Under mounted Single Bowl Sink with 2″ Radius Corners. Bowl Size: 21 1/4″W x 15 3/4″D x 9″H. – Item# R301810. 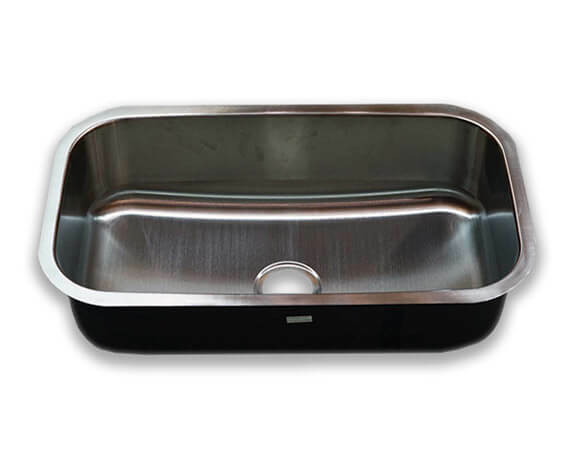 18 Gauge Under mount Stainless Steel Single Bowl Sink with Zero Radius, Bowl Size: 28″W x 16″D x 10″H. – Item# UM-30189-18. 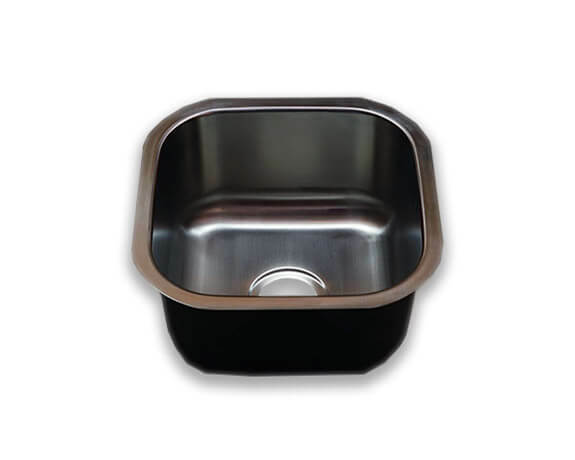 18 Gauge Under mount Stainless Steel Single Bowl Sink with 2″ Radius Corners. Bowl Size: 28″W x 16 1/8″D x 9″H. – Item# HA225. 16 Gauge Stainless Steel Under mounted 70/30 Farm Sink. Outside Dimensions: 35 7/8″W x 20 3/4″D x 9″H. Left Bowl Inside Dimensions:19″W x 16″D, Right Bowl Inside Dimensions: 13″W x 16″D. 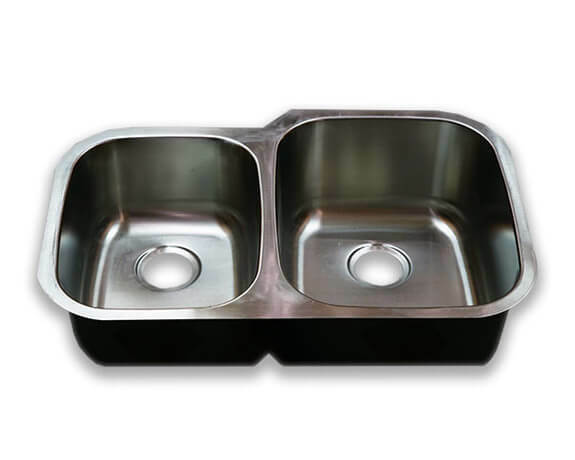 – 18 Gauge Stainless Steel Under mounted Sink Double Bowl Sink Left Side Bigger with 2″ Radius Corners. Left side bowl: 15 3/4″W x 18 1/2″D x 8″H, Right side bowl: 13″W x 16 1/2″D x 6″H. 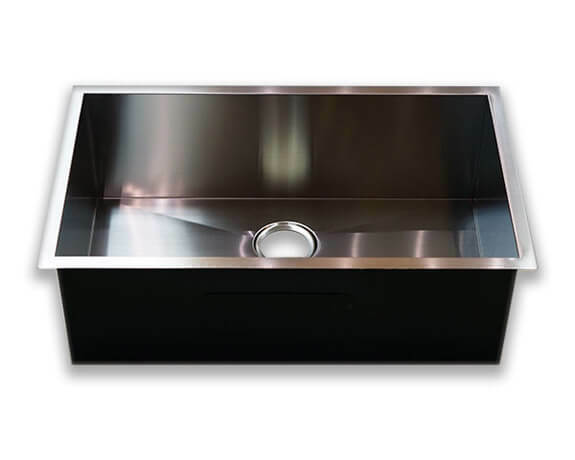 – 18 Gauge Stainless Steel Under mounted Sink right side bigger with 2″ Radius Corners. Left side bowl: 13″W x 16 1/2″D x 6″H, Right side bowl: 15 3/4″W x 18 1/2″D x 8″H. – Item#: R32195. 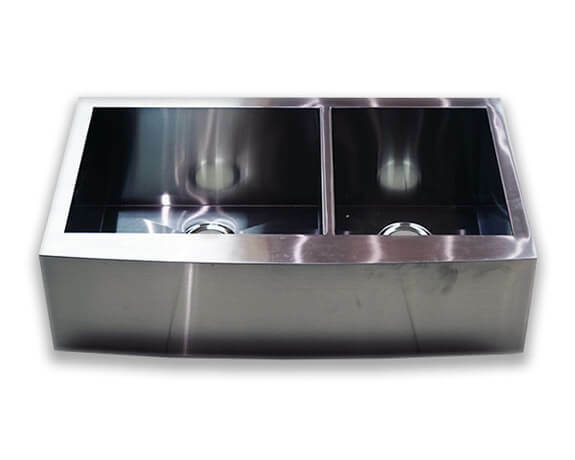 18 Gauge Stainless Steel Under mounted Double bowl Sink same size on both bowl with Zero Radius. 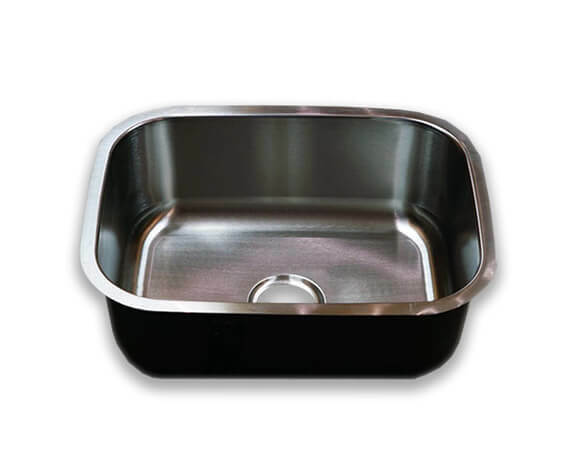 Sink bowl: 14 1/2″W x 16″D x 10″H. Overall bowl size: 30 3/8″W. 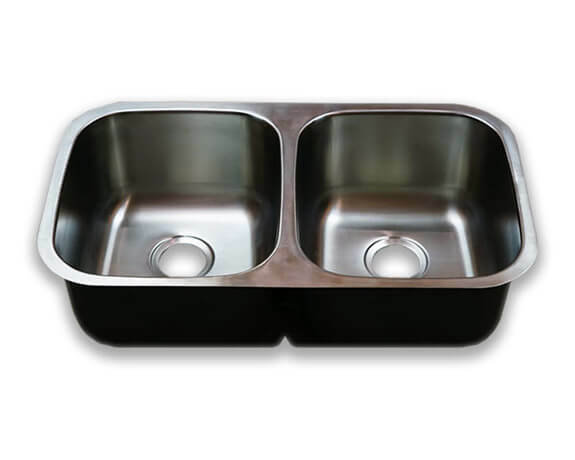 – 18 Gauge Stainless Steel Under mounted Double bowl Sink same size on both bowl with 2″ Radius Corners. 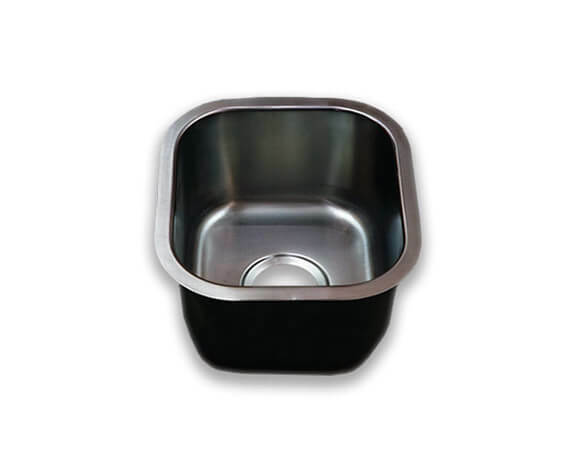 Sink bowl: 14 5/8″W x 16 1/2″D x 8″H. Overall bowl size: 30 3/8″W.